The sad fact is that in many cases, graduating high school students do not have what they need to succeed in either college programs or available job opportunities. Yes, it is the accountability of the high school to provide the subject content and quality of instruction needed to prepare students. It is also the accountability of the student to accept the challenge of career preparation. However, I think today’s equipment dealer can have a supportive role to play here as well. This is particularly true in the context of previous Scoop articles that speak to the importance of “student recruitment” starting in middle school and extending into high school. Here are some examples of where dealers can impact the situation. Starting in middle school recruitment efforts and on into high school, stress to students the importance of academic success in key core skills such as mathematics, writing, science, reading and speech communication if they are to succeed as a technician… or anything else. Support local student tutoring programs whether through the middle or high school, or through other sources. If a student you are mentoring needs assistance, know where to refer him/her. Talk to middle and high school counselors about industry needs, and the technician career opportunity, so they can properly advise students as they chart their academic course. career, rather than just say “trust me,” you need this knowledge. Make “hands-on” linkages of knowledge and skills to working on equipment (ex. computers, math, science), customer interaction (ex. explanations of problems to customers, explaining service options), service department operations (ex. writing work orders, warranty paperwork, department teamwork), and others. Develop or participate in a mentoring program where a student can have a trusted advisor to help them develop a sense of accountability, responsibility and work ethic. Encourage students to participate in extracurricular activities, at school or other venues, where they can develop leadership skills, work toward established goals, learn about responsibility as part of a team, and experience success. 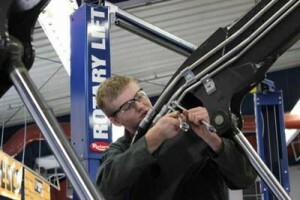 Where students are involved with a dealership via part-time work or internships, incorporate employability skills and accountabilities into those situations. This is a good time for students to learn the value of “showing up,” starting on-time, being able to follow instructions, knowing when to ask questions, work ethic, and ownership of and pride in their work. It’s also a good time for students to learn about consequences. Job Shadowing and student interaction with all levels of dealer personnel can also demonstrate to students how employability skills are essential to their career success, as well as to the dealership they work for. Students can also learn how their lack of work discipline can negatively affect their co-workers, co-worker relationships, and the professional respect they receive. Give students you are working with, in whatever student recruitment situation, the opportunity to make decisions and learn from the results of those decisions. Good decision- making, and being comfortable with making decisions, is something that can be learned and is an essential skill. Provide high-school internship opportunities for students. 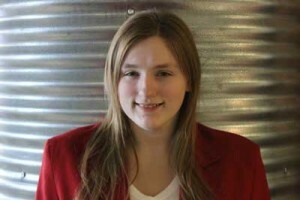 Hire high school students for part-time work while they are in high-school. Encourage interest in technician careers through “experience” and give them basic technical knowledge. Support any local high school technical programs by participating on advisory boards, supplying parts and materials, providing opportunities for some “hands-on” time with equipment, offering instructional assistance, and other similar involvement. Have weekly informal technical classes at the dealership, where high school students can learn basic technology. This could even take the form of a Diesel Technology Club in partnership with a high school. Support students that want to take a technical class or two at the local technical college to further explore the technician career. They may be able to do this during summer breaks, or immediately following high school graduation. 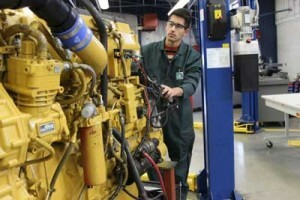 These are just a few examples of how dealers might become engaged in helping students prepare for success in a college diesel-equipment technical program. I’m sure the readers can think of many others. The point is that we as an industry understand these issues and do what we can to facilitate students’ introduction and entry into our industry.